La Belle Vie: Those Who Fought, Those Who Worked & Those Who Prayed. It is good to be back home isn't it? 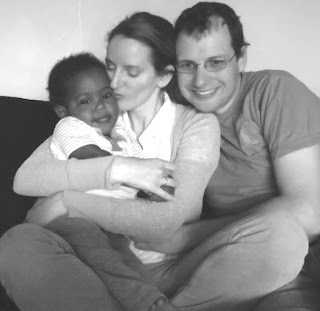 I know the reason we went to Ethiopia and I also say that it is good to be home and getting back to "normal" or at least a routine. Your picture of your family is adorable. Oh Jessa! What a beautiful family you three make! Congratulations! Félicitations ! C'est un bonheur de voir votre famille enfin réunit. Many many blessings and ((((BIG HUGS))))!!!! These are the moments when you know life has a plan for us.